I'm old. How do I know? Because I'm from the generation that completely missed out on promposals. You've seen them? It's when a boy takes a girl to the aquarium, then holds a sign that says, "Whale you go to prom with me?" And then they both post the photo on social media because if it's not on Instagram, it didn't happen. Me? I called the boy I was dating and asked him if he was free the day of prom. See, he was a year behind me in school and couldn't ask me to my own prom. So I called, asked, he said yes, and prom was amazing. I have pictures in a box somewhere to prove it. 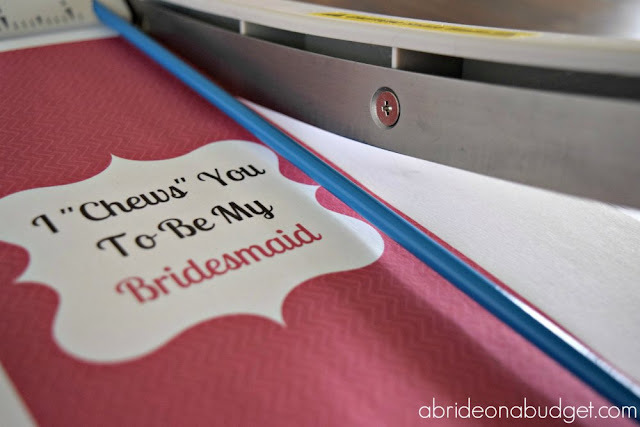 When I asked my friends to be my bridesmaids, I wanted it to be something special. I didn't want just a phone call. 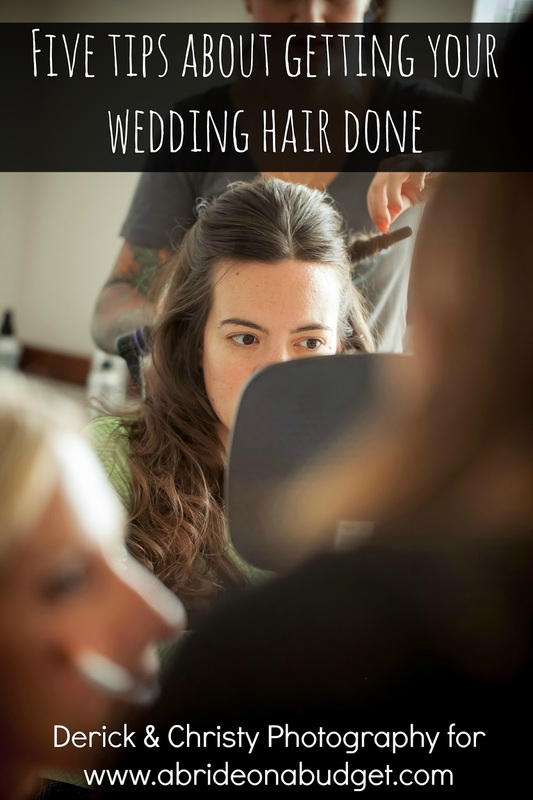 These are the women who have been with me through thick and thin during life, would stand by my side on my wedding day, and would help me plan my special day. A phone call just didn't seem like enough. 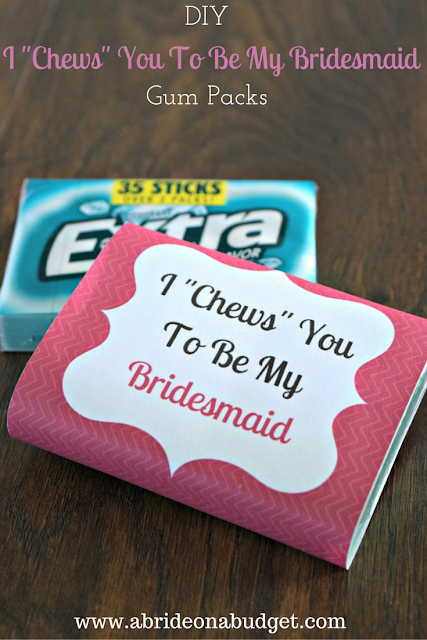 If you agree, and you're looking for a fun way to ask your friends to be your bridesmaids, I have a super fun tutorial for you: DIY I "Chews" You To Be My Bridesmaids gum packs! Head to your local Walmart and pick up the new Extra® 35-stick pack. 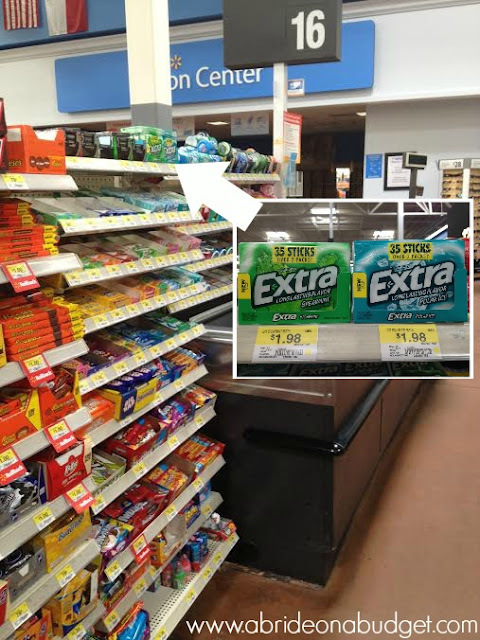 You can find it by the register in either Spearmint or Polar Ice®. 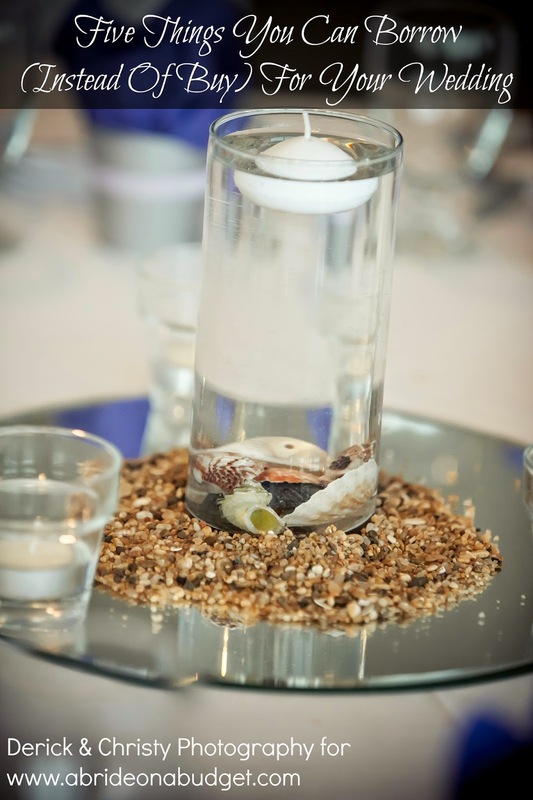 It comes in durable, recycled packaging, which is very cool. If you're only heading to Walmart for these, you can just throw them in your purse and not take a plastic bag (which is what I try to do if I forget my reusable totes or if I'm grabbing small items only). This plastic package won't get crushed by any of your purse's contents or ruined if a water bottle in your purse has a loose top and leaks (which actually just happened in my laptop bag last week so I'm hyper-conscious of this right now). 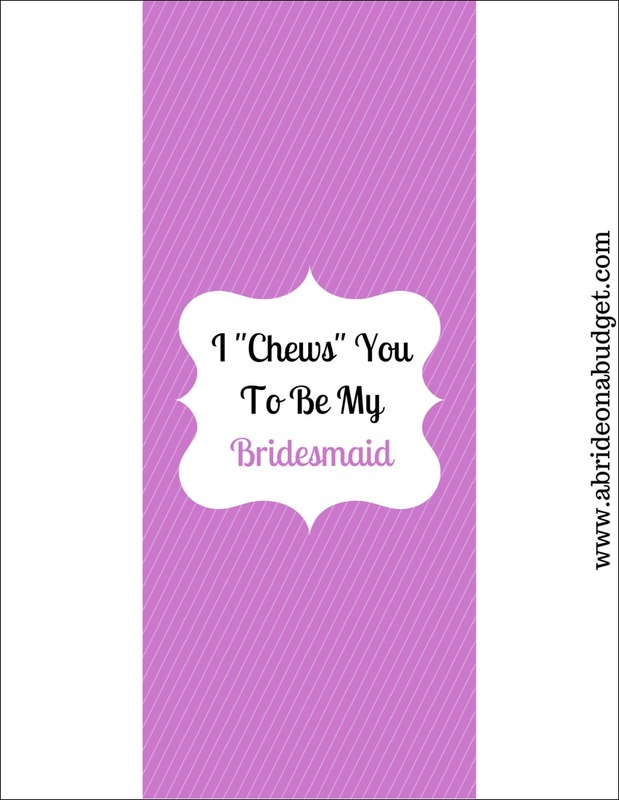 Print out our I "Chews" You To Be My Bridesmaids free printable. 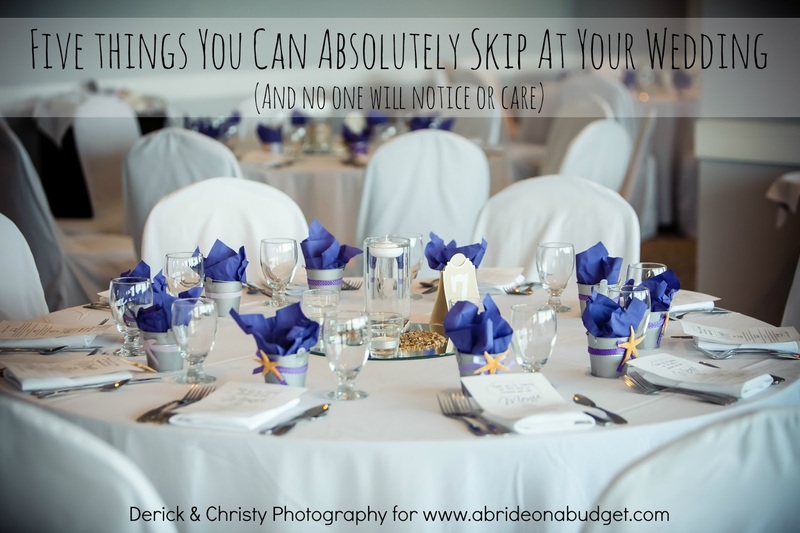 What's great is I formatted these printables to fit on an 8.5x11 sheet of printer paper so you can print them at home. The colored portion fits perfectly on the Extra® Gum 35-stick packages so you really just have to print and you're ready. To save the wrapper (gum pun totally intended), right click either image above and save it to your computer. Then, print it whenever you're ready to use it. 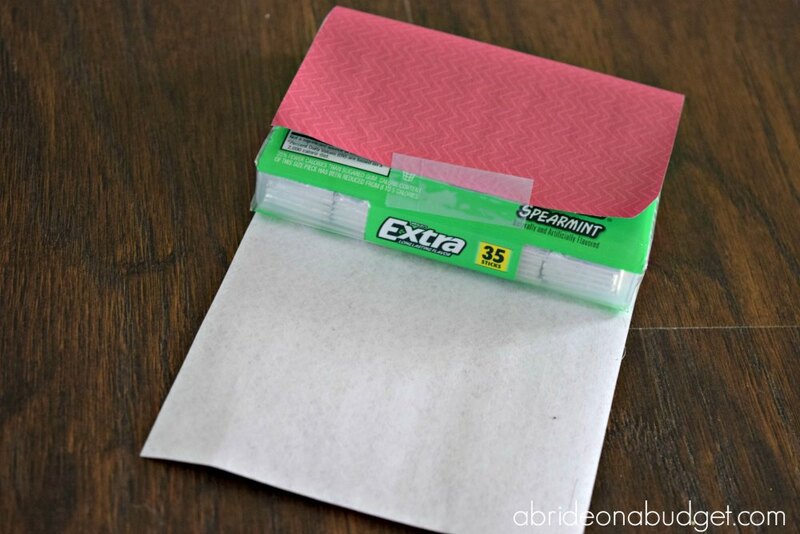 Using a paper trimmer, cut the whites off the sides of the I Chews You wrapper. 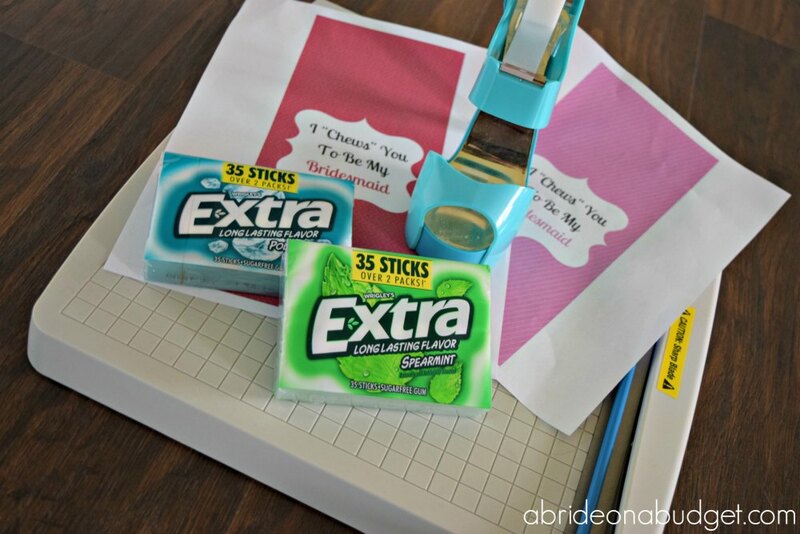 Wrap it around your Extra® Gum 35-stick package and tape the back. Wrap the other side and affix that with tape as well. 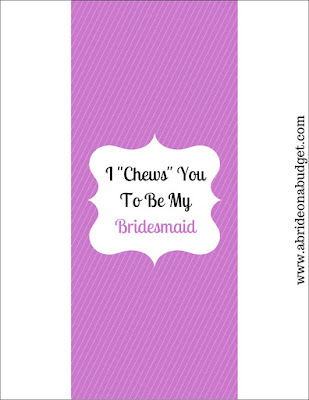 Continue until you have one for each of your bridesmaids. I made the printable in two similar but different designs so you could alternate. 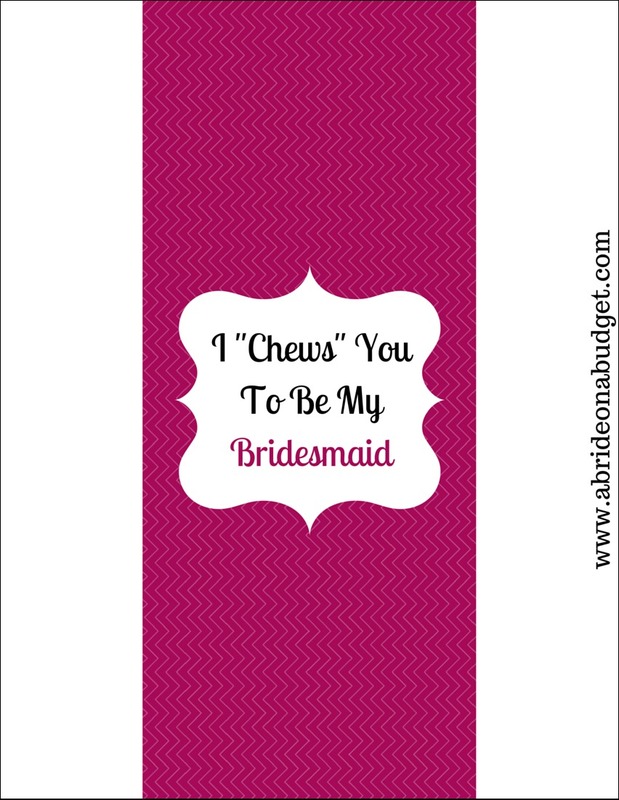 Give it to your friend as you ask her to be your bridesmaid. I'm sure she'll love it. 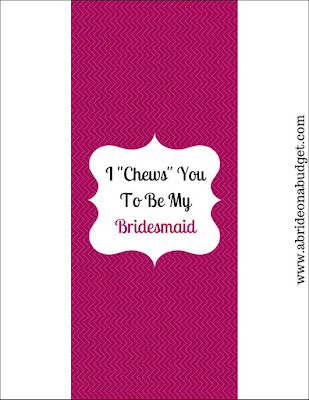 And, if she's nice (and I'm sure she is or you wouldn't choose her to be a bridesmaid), she'll share some gum with you. 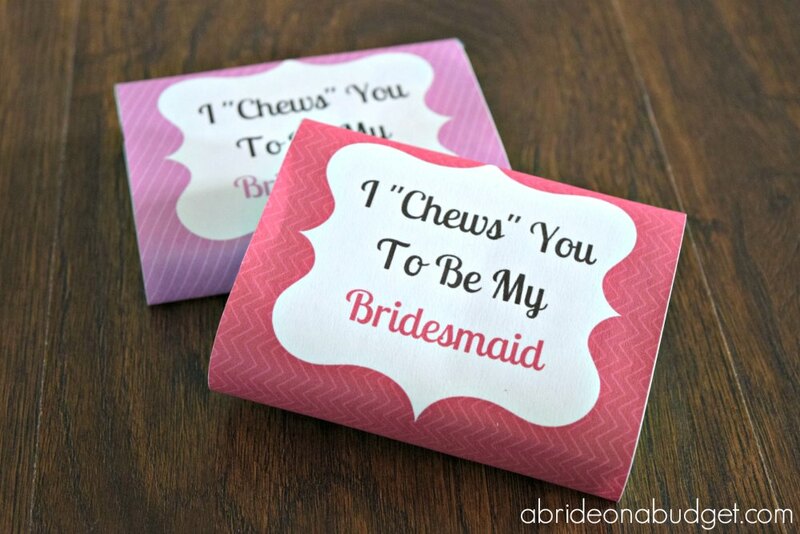 BRIDAL BABBLE: Would you make these DIY I "Chews" You To Be My Bridesmaid gum packs for your friends? These are so cute, and I love how useful they are! Thanks for sharing at FTAF! Pinned!